A BRAND new open mic night is heading to Lark Lane every Sunday. 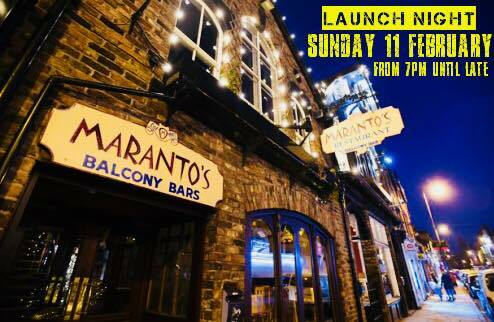 Brainchild of John Finnigan and Michael Bennett, Magic Hours Open Mic Night will take place at The Balcony Bar in Maranto's from 7pm. The launch event on Sunday, February 11 will dish out free pizza for all who attend and boast a great selection of raw Liverpool talent. Each performer will receive a free drink and although people can book a slot, musicians and poets alike are welcome to pop down on the night and be added to the line-up. Artists are asked to bring their own instruments but there will be a guitar around. This week the line up will feature the likes of Sheepy, Marc Hannon from The Springtime Anchorage, James McGuigan, Emma Fitzsimmons, members of Peach Fuzz and Michael Bennett.